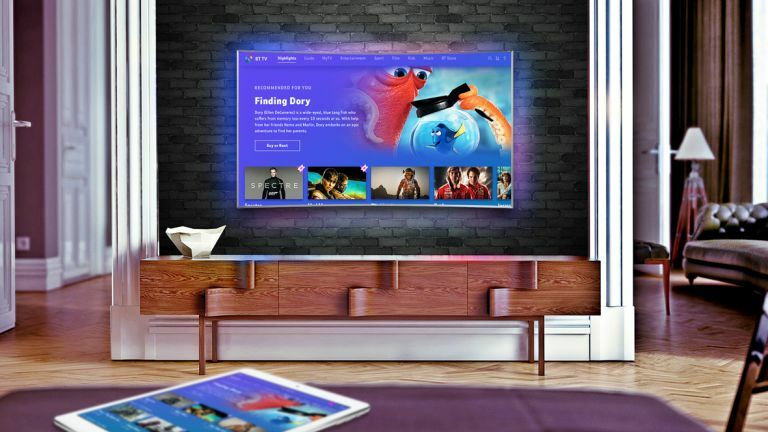 BT TV's YouView platform is to get a new lick of paint and a new app, while subscribers to its Total Entertainment pack, with a 4K box, will also be able to enjoy Premier League footie and other 4K 'events' in Dolby Atmos. Although BT TV viewers without a 4K box will not. Sorry about that. Unveiled yesterday at the BT Tower, the Atmos really did add something to coverage of Liverpool vs Leicester, with the crowd's singing and reaction to a Liverpool goal being truly impressive. Selected Premier League games and other key footie events will feature Atmos soundtracks when the new YouView service launches as a free download. The rollout starts in January and will end, er, not in January. Precise dates are not known yet. Additionally, live boxing will be pounding BT Sport viewers' screens, with "At least 20 Saturday night events, including World, European, British and Commonwealth title fights promoted by Frank Warren," available. That'll be in HD, without Atmos, at least initially. In good news for non sports fans, BT TV's new menu system looks a LOT better, with more image-heavy initial menus letting you surf to favourite and trending live, on-demand and catch-up TV, with more traditional listings lurking a click away. BT Player has had a similar update, with content you've bought, or that's included in your subscription, searchable with a click. Finally, BT has announced a new app, scheduled for summer 2017. This will offer "a seamless TV experience in and out of the home," with streaming and offline viewing both promised. There are no details beyond that, at this point. Hopefully they'll have learned how to spell 'Deadpool' by the time it launches.